Identification of the host plants of the hemi-parasitic African sandalwood (Osyris lanceolata) and the influence of some on its early growth performance was investigated at Image, Nundu, Sao Hill and Iringa in the southern highlands of Tanzania. The aim was to identify host plants that support the growth of O. lanceolata, and to evaluate the potential of some in promoting its early growth under artificial establishment. The results revealed that O. lanceolata parasitises a wide range of hosts although some were preferred. The preferred hosts were Rhus natalensis, Dodonaea viscosa, Tecomaria capensis, Catha edulis, Apodytes dimidiata, Brachystegia spiciformis, Maytenus acuminatus and Aphloia theiformis. 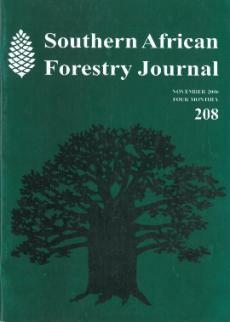 Of the preferred hosts, Brachytegia spiciformis, Rhus natalensis and Casuarina equisetifolia promoted most effectively the early growth of O. lanceolata in terms of height, diameter and overall root and shoot biomass. Possibly the light crown of these host species and the nitrogen fixing ability of C. equisetifolia played a significant role in conferring this advantage. The species are thus recommended as appropriate host plants when raising O. lanceolata seedlings for planting. However, a decision on whether these hosts will support the growth of O. lanceolata at a later stage is subject to further experimentation as they may only be serving as initial or intermediate hosts as reported in a related species Santalum album.